As I’ve sat and waited for this highly anticipated album I can tell you that JAWS definitely know how to make a comeback. It’s needless to say that they have improved a lot, they’ve had a lot time to find themselves in the making of Simplicity – and they definately have. JAWS are known for their punchy guitar and dreamy sounds, they’ve kept these sounds and stuck to their roots. They couldn’t of started this album any better, than starting it with Just A Boy. Their usual sound is laced with grunge vibes and catchy lyrics, you can imagine absolutely belting out these lyrics at a gig and it’s all down to Conor’s lyricism that shines through, creating something which will be forever known. He’s also done a lot of growing up in these past few years, and so have his band mates. It’s reflected in their music and even the lyrics, “I’m just a boy, but I’ll be a better man”. Full of emotion and promises, the lads really have started Simplicity with a lot of beauty and of course their stunning reverb-soaked riffs. What We Haven’t Got Yet is the second track from Simplicity and it’s a heavier track compared to the first one but as it still sticks to the original sounds, it still has a punch and it most definitely not lacking in energy or fierceness. I feel like this track is a breathe of fresh air in a sense that it’s got a swift and speedy tempo and it’s different in comparison to their usual melodic whirlwinds. It also is neatly polished at the end of the track with a shoegazing guitar solo. Third track Right In Front Of Me, which is what I think is the song which has had the most experimenting with because there’s a completely different sound. It’s a driven track with more catchy lyrics but with just a new direction. It’s good for them to experiment new sounds, I think that they have really found themselves in this album making process. My favourite song from Simplicity and also the most emotionally touching is 17. It’s peaceful and euphoric. The lyrics are simply beautiful and it’s also a song in which a younger generation could relate to. “Don’t wanna feel like this at the age of 17”, it’s almost as if Conor is taking us back in time – a life story in which at one point he was low. Starting slow and mellow, with delicate beats and a longer intro the all of the songs from the album so far. The vocals are the best bit to come out of 17 just because of its simplicity (pardon the pun!). But halfway through, JAWS show a different side to them, infusing pop sounds and beats making the song which has a deeper and darker meaning to be a cheerful and bouncy tune. It’s also the longest song off the album. Track 7, Cast, is a similar song, spectacular and euphoric, and it’s calming. It’s these two tracks which really reach out to me on the album. Cast has been performed in a few shows, too. It’s stunning live and I can’t get enough of these two songs. Simply beautiful. Interlude is Simplicity’s instrumental which splits the album into two halves. It consists of strong and long guitar chords, complemented with a drum beat. It’s not a complex track but I would say it’s magical but it’s slightly eerie at the same time and I’ve not heard many albums with an instrumental song in the middle of an album like this one. The ending of Interlude shifts straight into their next track On The Sunshine and as you can tell from the title, it’s a happy and upbeat song. It has a lot of similarities with the other songs on the album such as the sounds but there’s just a small difference that makes this track, the 80’s retro intro; JAWS have really upped their game with this album, their sounds are much more stronger and it’s all been regenerated into something which they will be very proud of. This song is also one of my favourites from the album, due to the happy connotations and the vocal strength that Conor pulls of. It’s very repetitive and this isn’t a bad thing! If you’re looking for a song which would make you relaxed after a heavy day then next track Work It Out is the one! It’s a song in which I can picture myself lying on a beach while listening to it, or even looking at a really beautiful skyline. Bongo drums and wavy synths and a punch which isn’t intense one, it’s a smooth one. Even though the song doesn’t have a happy ending to it with lyrics “My soul speaks to you in the sand, I think we’re meant to be alive”, Conor’s ability to turn something bad into something positive through his music is what lures me in. 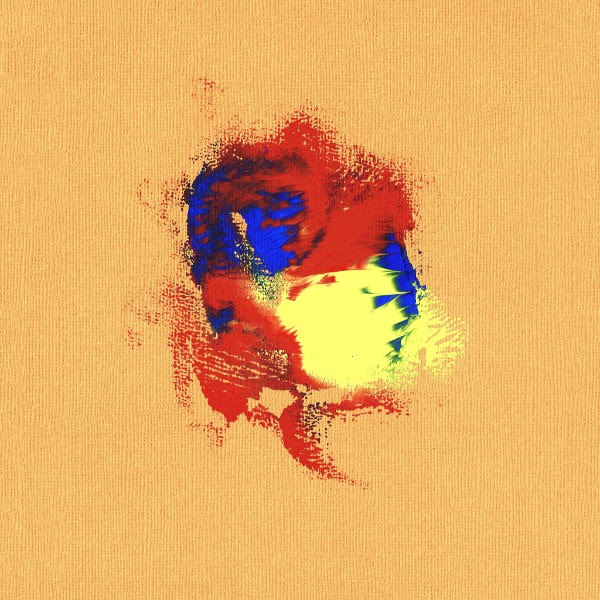 Contrasting with the peacefulness of Work It Out, we’re presented with a meaty track, the 9th track on Simplicity called, In The Morning which has a monstrous introduction with soaring bass and guitar notes, making this album quite deep and dark. It’s also the same with their 10th track A Brief Escape From Life, they tell dark stories and compliment it with rather mean sounding tracks and this is showing their diversity with their music; creating dreamy reverbs to strong punching chords. Ending the album on a high The Invisible Sleep starts out mellow and smooth and the lyrics are touching. “Is this what it’s like, to flip the switch and still see the light?”, Simplicity tells a story, a dark, touching story which has made me feel emotional at some points. Ending the album with this song is a way in which fits perfectly well with Conor’s story telling. “When I’m on my way home”, as I listen and I interpret the meaning of it, I feel as if I’ve gone through a whole emotional journey with JAWS and this track is the happy ending of “getting back home”.